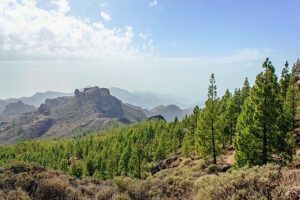 It’s not hard to see why Gran Canaria is such a popular choice amongst people looking for a timeshare. Great weather, great food and just a short flight from the UK. What more do you need? But what about timeshare in Gran Canaria? 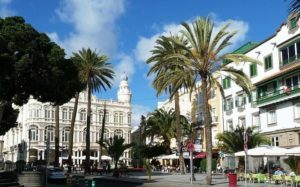 Looking for a timeshare in Gran Canaria can be a lot of fun but it can also be a challenge. While English is widely spoken across the island, it can be helpful to learn a few vital phrases to make the process easier. In fact, these will be helpful if you’re looking to buy timeshare in Gran Canaria and any Spanish-speaking country! “What amenities are in the area?” – You may well find the perfect pad that fits tidily within your budget. However, if it’s miles to the nearest supermarket or beach, then it’s probably not right for you. As well as asking your resort or resales company about the local area, you will need to learn the words for some amenities themselves: beach, shop, restaurant etc. “What is the availability?” – If your job at home ties you into certain months of the year, it is essential that you look at properties with suitable availability. You may also be keen to talk about the flexibility involved in changeover times. Be aware that rates are likely to vary considerably throughout the year. “What does the rate include?” – It is important to delve into the hidden charges involved in finding a timeshare. Whether it is parking, cleaning, or the maintenance of common areas, you may find that the extras push the total beyond the limits of your budget. Familiarise yourself with hidden costs before moving onto serious negotiations to avoid disappointment. “Who is responsible for cleaning?” – While you may be handy with a mop and broom, it is important to know that your house or apartment will be clean upon your arrival. Enquiries into the other sharers can make all the difference when it comes to deciding between two properties. “Is there parking nearby?” – However well-positioned the property, you are likely to want to get out and explore the island for yourself. If so, you will need somewhere to keep your car. If parking is available nearby, be sure to enquire about the cost. “Could you email me the details please?” – Hopefully you’ll get the right response from your agent with the phrases in this article but knowing how to ask for them to be written down can come in handy as a last resort.